Decks West Monroe: Why Are Porches Beneficial? Your home is your sanctuary, which means that you only want to fill your home with the best features. However, though you want to fill your home with features, there are other add-on opportunities that you could install for the exterior of your home. Porches are a beneficial addition to your home, no matter where you live. Why? Well, in this blog we will tell you! 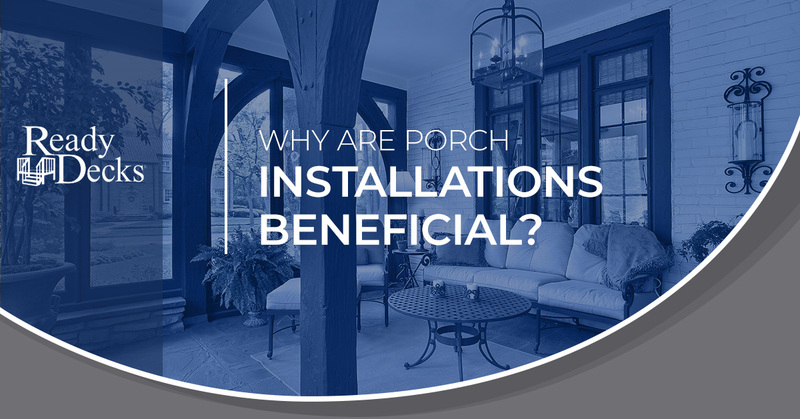 Read on to find out why porches can be so beneficial. Porches add a nice touch to any home. Something about them can make a home look complete and comfortable. No matter where you live, or what season it is, porches have a way of adding aesthetic value to your home. More importantly, porches offer a more inviting aesthetic. For most homeowners, having a welcoming home is exactly what they want and need. Porches offer homeowners, as well as, their guests, a nice and comfortable place to sit and chat. If you have a porch, you can gain a vantage point over your yard. For homeowners that want to keep an eye on children or animals, a porch can be a great asset. Instead of moving back and forth from your window trying to get a good view of what is happening in your front or backyard, a porch offers you an open space to look out from. Porches are superb places to entertain your guests. From your porch, you can set up BBQ cookouts, Fourth of July parties, and so much more. Porches allow you to take full advantage of your property and have a clear and open space to entertain guests. Life without a porch often means that you have to entertain in your home or outside. With porches or covered patios, you can keep guests comfortable and out of the sun. Shade is extremely advantageous, especially during the summer. It is only natural that you would want to take advantage of good weather, but sometimes too much sun can be a bad thing. Porches can be a nice addition to your home because they offer you a path to stay outside but out from under the intense heat or rain. Having a covered patio can be an excellent way to reap the benefits of the outdoors, without being at the mercy of the elements. Screened in porches can be wonderful for your home, especially if you have a large population of bugs around your home. In the summer, sometimes you want to be able to sit outside and enjoy a cold beverage. However, with the massive number of bugs buzzing around and even biting you, the experience may not be as enjoyable. Porches offer homeowners a comfortable and protected area to enjoy the outdoors. This way, you won’t have to worry about bug bites anymore! Contact Ready Decks today if you are interested in a porch for your West Monroe home! Call today for more information about our porch installation services.